Product Design & Development » Part 2. Of our Series on Ocean Plastic. Sea Change – Innovative solutions to the ocean plastic crisis. There can be no doubt that plastic pollution in our seas is a huge environmental disaster. Our relationship with plastic needs swift change. But It could be argued that plastic is here to stay. From contact lenses to aeroplanes, Tupperware to swimsuits, plastics innovations have improved our everyday lives and made modern life easier, cheaper and faster. In Part 1 we discussed how the issue of single-use plastics and ocean plastic is currently driving discussion towards a call for consumers and retailers to go plastic free. However, most uses of plastics are beneficial to us and not just in terms of convenience. ‘’Modern cars are approximately 50% plastic by volume, but only 10% plastic in weight – significantly reducing petrol use and emissions. Medical breakthroughs are improving and saving lives, plastic catheters are used to unblock blood vessels are being used to treat heart conditions’’. The UK government and the EU have both declared “war on plastic waste”. But, has reporting on the topic been misleading? Is this a complex problem that’s being oversimplified? If so, shouldn’t we really be looking at more realistic and innovative ways to learn to live with plastic? What if we put more value on ocean plastic and tackled it as a socio-economic problem? What if we looked to change people’s attitude towards plastic and promote its true value? As a problem that has stemmed from our modern lifestyles and mass consumerism doesn’t the 1st world have a responsibility to add a premium to ocean plastic and ensure its longevity and future value? By changing the way we think about and interact with ocean plastic we could create an industry worth cleaning the oceans for. 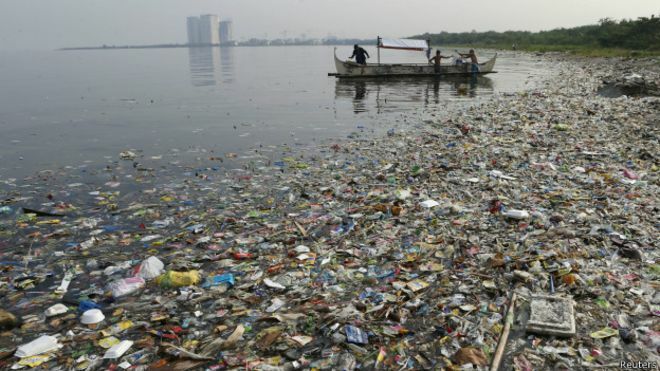 If demand stripped supply the oceans would be much cleaner. Save a complete ban on plastic packaging, a change of perspective that redefines our relationship with ocean plastic could be the solution. By adopting a circular economy thinking, plastic could be turned into a valuable commodity. This may seem like pie in the sky thinking and more easily said than done. But it’s not impossible. At Flynn Product Design we think it’s an extremely exciting time for product designers. Find out more here. Here’ 5 innovative businesses that we’re excited about who’ve set out to break the plastic design mould with circular design thinking. Instead of going after plastic, Boyan has devised a system driven by the ocean currents to catch plastic. Combining the cleanup with source reduction on land is working towards a plastic-free ocean by 2050. His plan is to recycle the plastic and turn it into feedstock for B2C company products. Some of the plastic might also be turned into oil, to power our support vessels. One of the greatest ideas we’ve come across lately Gumdrop are reusing old chewing gum, it being the second most common type of street litter after cigarettes. British designer Anna Bullus has found a way of recycling old gum and turning it into desirable products. 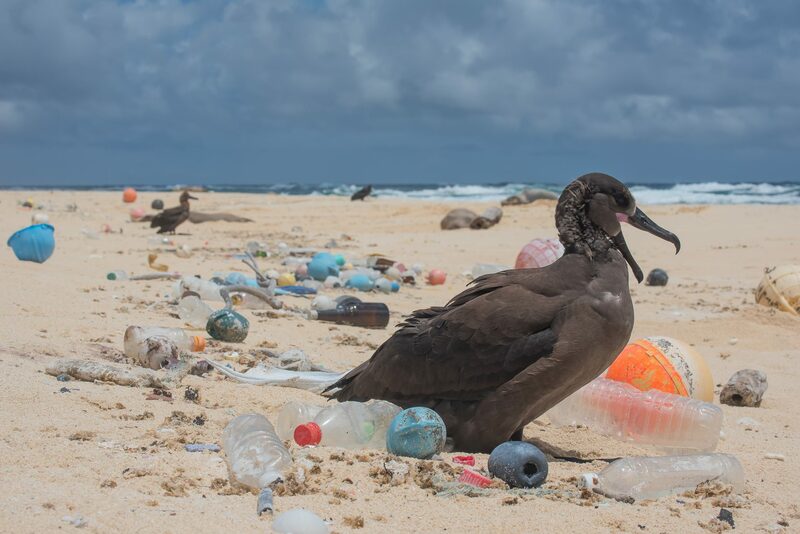 One of the largest technology companies in the world, Dell is currently innovating in creating the first commercial-scale global ocean plastics supply chain, processing plastics found on beaches and using them as a part of their new packaging system. Professional recycling organisations collect the plastics, after sorting and refinement Dell mixes the ocean plastic with other recycled plastics in 1:3 ratio. This allows Dell to manufacture 100% recycled products with 25% of the material coming from the oceans. The initial pilot project starts by keeping 16,000 pounds of plastics out of the ocean with the ambition to scale to 200,000 pounds by 2025. We like a business with a meaningful vision. Start-up company Bureo was formed in 2013 with the goal of finding a solution to the problem of plastic pollution in our oceans. To do this, the company founded Net Positiva, a program that creates environmentally friendly disposal solutions for fishermen in Chile, so that they can discard their old fishing nets responsibly rather than abandoning them at sea. These nets are then collected and recycled to create durable decks for cruiser skateboards. Net Positiva encourages local fishermen to make use of their disposal units by providing financial support for participating communities. The Bureo website also sells skateboard decks and wheels separately, as well as a line of recycled plastic sunglasses and apparel made from 100% organic, sustainable cotton. In 2016, global sporting brand Adidas unveiled a limited edition sneaker made in collaboration with Parley for the Oceans. Parley for the Oceans is an initiative that organises coastal clean-ups, removing plastic from beaches in the Maldives as well as floating ghost nets. This recycled plastic was used in the creation of the shoe, dubbed the Ultra Boost Uncaged Parley. 7,000 pairs were manufactured and quickly sold. In fact, sales were so successful that Adidas have now re-launched three of their most popular sneakers in the same environmentally friendly format – the Ultra Boost X Parley, the Ultra Boost Parley, and the original Ultra Boost Uncaged Parley. We love how brands are working to add value to ocean plastic and make it a prized resource. In our next article, we’ll be looking at the future of plastic in product design and how circular design will inform the way we interact with products.